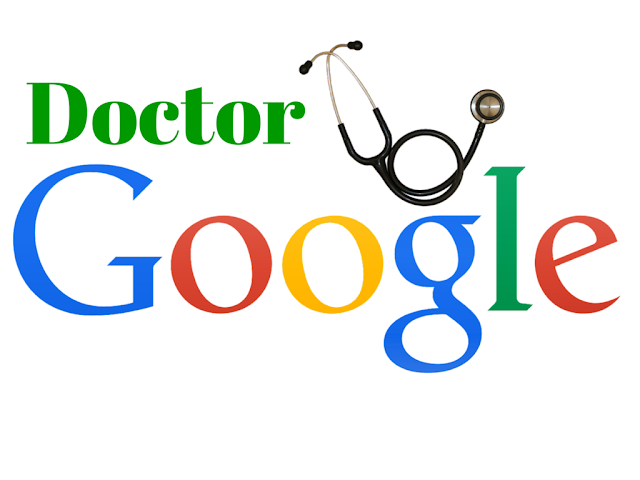 Do you go straight to the GP, or do you head to Dr Google first? Many years ago I googled my symptoms which the real life doctors ended up diagnosing as fibromyalgia. But for the three weeks prior to getting to the GP I was walking around with Multiple Sclerosis. As far as I was concerned it was a fact and my life was in disarray. Luckily fibromyalgia, while beastly, is far less of a beast than MS. Since then I have learned not to Google for a diagnosis. OK, that's a lie. I still Google. I guess I should say that since then I've learned not to take a lot of notice of Dr Google. I go there more to get a kind of "ball park" idea of what might be going on. Especially when it comes to the kids. You know, just to see if I need to race them to emergency or whether we can sit it out for a little longer to see what happens next. Lately I've been experiencing more back, neck and shoulder pain that usual. It feels like a zapping sensation up and down my spine. It almost feels like it's vibrating which makes me feel sick. Kind of like a motion sickness. I guess it feels like an electric current. Yeah, that's it. An electrical current. As I sit here and type I can feel this current radiating up and down my back, going into my neck, my shoulders and arms. The nausea is setting in. It's not so bad that it takes over. I mean, I will still go for a bike ride shortly and I'll get dressed and go about my day. If I don't focus on it I can kind of ignore it. It's a weird thing and it's been happening more and more. So I googled it and cancer, HIV and other monsters reared their ugly head. Luckily I'm not taking a lot of notice of Dr Google anymore. Then I started to get more specific. I have tried to describe the pain as a zapping sensation. Dr Google also suggests it could be nerve pain. Or it could be muscle damage. Or it could be side effects of a bunch of drugs that I'm not on. Or it could be magnesium deficiency. Or it could be fibromyalgia. Looks like I'd better head back to the GP. Just to be sure. Do you Google before heading to the GP? Has Dr Google ever made you a victim of a mystery disease? Maybe he diagnosed you correctly? What the hell is this zapping electricity up and down my spine? The "fly trip" was worth it just to enhance the training of the med student! According to doctor google, I currently have a rare form of arthritis that primarily affects men (because EQUALITY, right?) but in the past I have had lung cancer (chest infection), secondary tumours in my hips (pelvic girdle pain), PCOS (um, no PCOS just period pain), low ovum count (plenty of eggs still there! ), measles (sulfur allergy rash) and god knows what else. I have to step AWAY from the computer! I honestly do check DR Google but I don't take its diagnosis seriously until I go to a GP. Google can be good for rashes or sick kid symptoms, but even then some of the advice online can be different to what your child actually has. 9 times out of 10 Google is not what the doctor diagnoses! Yep! The GP and Dr Google don't always see eye to eye. I tend to Google first and if the prognosis is bad, I head to the doctor's. I do hope you are okay. I am sure you will be, just stay off the PC. I can't say I've often used Dr. Google. But I don't go to the doctor's much either. Only if it's really bad, or for my once yearly check up. If I'm not well, I tend to just listen to my body and rest. God knows I could be suffering a hundred different things and not know it! I'm fine with Dr Google as I used to be a researcher and don't find it hard to differentiate between BS and usefulness. I don't self diagnose as such, but I read up and get questions to talk to my GP about. Not a fan of Dr Google for self diagnosis. Although, with an auto immune disease and a mystery illness still to be diagnosed I'm not a fan of drs at the moment either. Hope you get your issue sorted and it's a quick and easy fix. Auto immune disease and a mystery illness don't sound good Raych. I hope they give you some answers soon! I google all of the time! When I'm lying in bed with a pain in my chest I'm googling 'heart attack' or 'reflux' or whatever. Hope you're not having too many heart attacks Deb! Yikes, that sounds a bit scary! I'd be off to the doctor with that! I do use Dr Google a lot though, it's cheaper! My mum had an ulcer on her tongue that would not go away and her doctor wanted her to get a biopsy just to be sure. I asked Dr Google and discovered my mum had cancer and would probably need her tongue removed and therefore, never be able to talk again. I was stricken. Turns out, she had a sharp tooth edge that was causing the problem. A quick trip to the dentist solved it. Say no to Dr Google. Oh my goodness! LOL. So happy Dr Google was wrong! I had to break up with Dr Google. I am a terrible hypochondriac WITHOUT his help and going to him would just make everything worse. I was practically always dying. I have a strict no google policy now and tell my hubby what's happening so that he can do a more helpful search in order to see if I actually need to go to the ER or wait it out or whatever. It seems to be working for now! At least you identified that the relationship wasn't a positive one! Wouldn't like to be dying every single day.